We have all had the opportunity to start a new chapter at some point in our lives. For many of us, that chapter was a point that changed the course of our future. The moment we chose to follow Jesus, we started a new chapter. The big family move, choosing a school, starting (or changing) a career … all new chapters. Even becoming part of a local church like Harvard Avenue can start a new chapter in your life. Throughout the history of our church there have been defining moments that were new chapters. Responding in faith to those defining moments has allowed us to see lives and communities transformed and the realm of God more visible to the world. Now, as a church, we are writing ‘The Next Chapter’, eager to see how it will change us, and those we will meet through our ministries. Faithful and positive response to The Next Chapter (2012-2016) capital campaign allowed us to expand our reach as we believe God continually calls us to do. With funds raised and pledged by groundbreaking, and building complete in 2014, the vision for The Next Chapter has always been more than renovation and expansion. 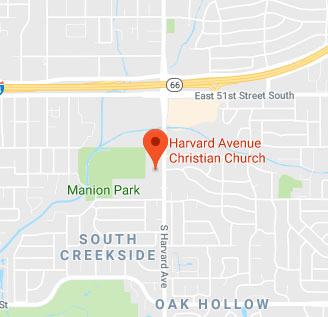 The Next Chapter is about deepening our faith, impacting our community, and raising a new generation with the strong, compassionate values Harvard Avenue Christian Church has been known for since our founding in 1959. Here’s to The Next Chapter, and everywhere it takes us!